The WWE 2K18 Downloadable Content includes additional Superstars, moves and enhancements, along with the WWE 2K18 Season Pass! Featuring fan-favorites The Hardy Boys, WWE Hall of Famers, current WWE Superstars, and some of the brightest NXT talent, in addition to new moves, and in-game bonuses, WWE 2K18’s DLC has something for everyone. The new DLC content packs will begin releasing in fall 2017 and will continue to do so into early 2018, for PlayStation 4, Xbox One, Windows PC and Nintendo Switch. All Season Pass content will be available by March 2018. Let's take an in-depth look at the content that these DLC Packs include, giving you all the information you need to know! 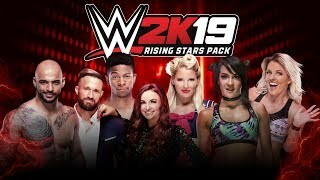 The "NXT Generation" Pack features WWE and NXT Superstars Aleister Black, Drew McIntyre, Elias, Lars Sullivan and Ruby Riot. The "Enduring Icons" Pack features The Hardy Boyz and WWE Hall of Famers Beth Phoenix and The Rock ‘n’ Roll Express. Batista, Rob Van Dam and two Retro John Cena characters (ECW One Night Stand 2006 & WrestleMania 26) are included in the Deluxe Edition and in the Cena Nuff Edition of the game on launch day. Release Date: October 13, 2017 (Deluxe & Cena Nuff Editions) - November 14, for all to buy separately. Players who Pre-Order WWE 2K18 at any participating retailer will receive two playable Kurt Angle characters (WWE "American Hero" 2001 & ECW "Wrestling Machine" 2006) at no extra cost on launch day. Release Date: October 17, 2017 (Pre-Order) - November 14, for all to buy separately. Release Date: December 12, 2017. The Accelerator gives players instant access to all WWE 2K18 unlockable content available at launch in the game’s VC Purchasable section (excluding downloadable content), plus control over rankings and attributes for all playable in-game characters. Release Date: Available on Day One. 50,000 VC to unlock and boost MyPlayer ratings and attributes. 10 additional Attribute Points for MyPlayer to boost any Attribute tower by 10 levels or spread the upgrades throughout multiple Attribute towers. NOTE: If you are pre-ordering the Deluxe Edition or Cena (Nuff) edition, the complete Season Pass is already included in those versions. For more info on WWE 2K18 check out the News Section, and as always, for the full updated list of confirmed characters and their respective profiles, you can visit the full WWE 2K18 Roster Page, featuring all the Superstars, Women and Legends from WWE and NXT included in the game. 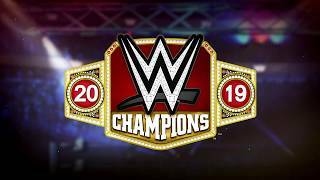 What do you think of the WWE 2K18 DLC? Leave a comment with your thoughts down below!